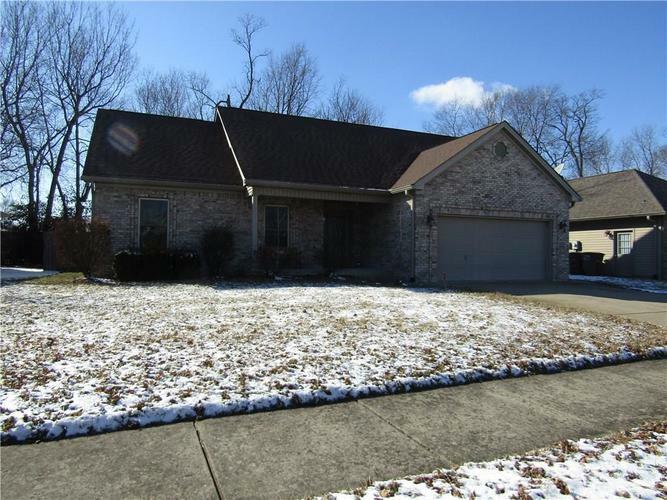 This 3 bed, 2 bath ranch has open floor plan for the living space and split bdrms. Large master suite has double tray ceiling, 2 walk in closets, double sink vanity, whirlpool tub, & sep shower. The great room has lovely vaulted ceiling. Breakfast Rm currently used as home office. SS appliances remain. Enjoy your evening in the fenced yard w/covered patio. Home equipped w/monitored security w/cameras. New 2018/19, Heat Pump, C/A, Water Heater.